Stop me if you’ve heard this one before; an Irishman, an Australian, & an Englishman walk into a bar, they talk about alcoholism, and everyone leaves feeling extremely sad. No? Not familiar with that one? Well, it’s a very flippant way to recognize the extremely heavy topic Glassland drags to the surface and a fairly accurate depiction of how far the final product misses the mark. They may all be from some part of the British Empire, but all three coming together to pretend to be fightin’ Irish is a bit of a stretch, as is the emotion they attempt to bring to a film that’s too melodramatic for its own good. Glassland fails on many levels, from its accents to its heart, and ends up much more of a joke than it was ever intended to be. John is a ‘gud buy’, as his mother says ever so thickly, in part because of her dialect and in part because of her constant drunkenness. John works hard as a taxi driver, never stops to have a social life, and comes home every morning to a disaster of an apartment, a dump that he shares with his ma. All his money goes toward rent & food, the latter of which his mother barely ever partakes, sticking to wine & vodka instead. John often finds Jean asleep on the doorstep, or she goes missing for days, or he arrives to her vomit-covered bed and must rush her to the local hospital. She’s drawing closer & closer to killing herself with her destructive drinking, a habit that she couldn’t kick even if she wanted to. For John, something has to change. He’s tired of living with a woman who in no way resembles the mother that he used to love, someone who was always his constant, loving companion. With a father who disappeared and a brother with Down’s Syndrome who lives in an assisted care facility, John needs Jean more than he can express, and yet she drifts further & further away with every drink. A stint at a rehab center might help, but that’s just a Band-Aid over the fissure, a temporary solution that requires much more money if they wish to make it permanent. But John will do what he has to in order to keep his mother alive, which includes selling his services to the underworld, a spiraling whirlwind of a decision with no clear way to the surface. This subject is no laughing matter. 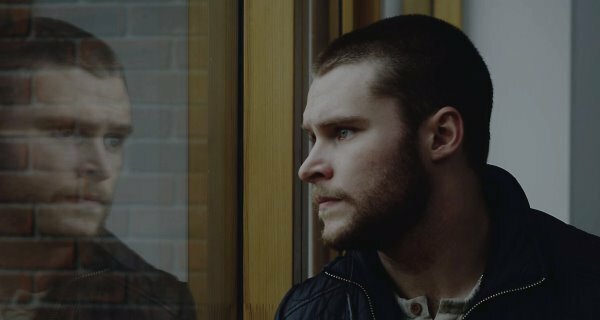 Glassland tells a harrowing story of addiction, depression, and the lengths we will go for the ones we love. John is a pillar of strength in this process, though he’s not perfect, and gives us hope that we can help those who are beyond helping themselves. As someone who has never been anywhere near this situation, I can’t imagine how hard it would be, or how difficult watching what must seem like a true story must be for those who have lived it. And I can see that the filmmaker’s heart was in the right place, so to speak, that he devoted a lot of himself to this film, that it was important to him that people struggling daily with addiction & with addicted family members know that they aren’t alone. But beyond the message, Glassland really falls away. The accents bothered me, and by the end I couldn’t tell whether I was actually hearing a job poorly done or if I had convinced myself of the fact, but it began not to matter. 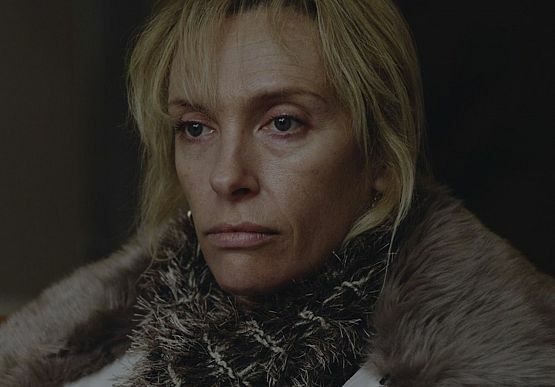 Toni Collette just isn’t a strong, drinking, Irish woman going through the worst time of her life, and she’s just not quite talented enough to pretend it. Will Poulter to me, and unfortunately, will always be the kid who had his testicle bitten my a tarantula, so there’s that. 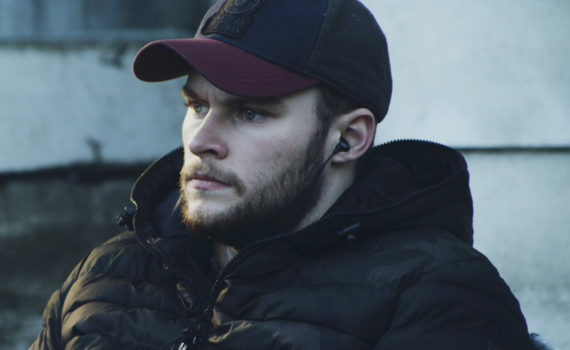 And Jack Reynor was much too one note, or to put it slightly ruder, he forgot to change his facial expressions during the film. Perhaps he was trying to be stoic & steadfast, but he just turned into a Seth Rogen lookalike thrust into a serious role that he couldn’t handle. The entire movie/premise/mood was too much for the cast & crew, as they never seemed able to cope with the load. A more stark, desolate, indie flick with no-name actors would have served the idea much better, but then again, I doubt anyone would have watched it. Video – With an aspect ratio of 2.35:1 (Widescreen) and filmed using a Red Epic camera, the DVD is barely passable and is obviously a low-budget attempt at a Sundance-style movie. It’s low clarity & picture value don’t detract from the film, but they don’t add anything either, bringing a dark atmosphere to the story perhaps, but never engaging audiences visually. Audio – The disc was done in 5.1 Surround Sound with an option of 2.0 Dolby Digital Stereo. The film is set in Ireland, using English Language, and offers subtitles in English SDH. The audio of the film is forgettable to the point of obscurity, the sound quality never attempting to shine or to produce. Overall, the technical aspects of Glassland were ignored. Extras – There are a few special features on the DVD for anyone thirsty for more. A bonus short film can be viewed, Aissa, a seven-minute peek at the world of a Congolese woman attempting to find safe haven in France. An interview with director Gerard Barrett can be accessed here, as can interviews with Jack Reynor and Will Poulter. There are seven trailers as well: Glassland, Theeb, Second Coming, Take Me to the River, Broken, Amorous, The Automatic Hate. And lastly, About Film Movement, a paragraph about the distribution company. Rent It. For having such an important message to relate, this film fails to hand it to us in a form we’re willing to accept. Instead, it becomes an amateurish representation of the facts, never allowing audiences to get on board, always presenting the problem in a format that’s either laughably unpolished or just plain awkward. The actors didn’t help, none of them settling into believable roles or putting the film on their backs, carrying it onward when it began to stumble the most. The result, a poor product that doesn’t allow the desire behind the issue to shine through, that won’t open many eyes, in part because not many eyes will see it. The video is sketchy, the audio forgettable, though there are a few bonuses if you desire extra. But wrapped up as a package, Glassland doesn’t have enough to entice you to watch, and won’t reward you for so doing.